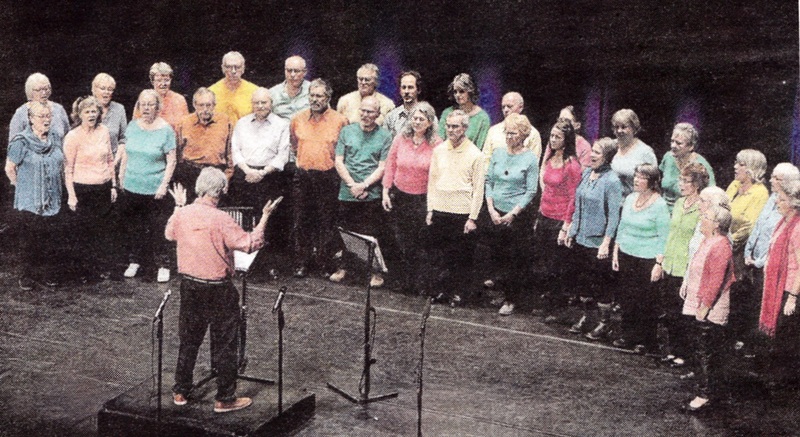 We are a mixed Community Choir based in Moray, Scotland, since January 2004, and led by experienced musician and choir leader Bill Henderson. We sing inspirational songs from around the world: African, Georgian, Gospel, Gaelic, Welsh, Eastern European, Pop, Taizé, traditional, contemporary, etc. Tra-la! Our term restarts on Thursday 25th April 2019 at 7pm in Kinloss Church. Inverness Big Sing 2019 appreciation. Adjudicator's remarks: "You produced rich, well balanced tone. Chording in the first song was well managed. More variety was possible between the verses but you mostly moved well together and shaped the phrases musically. It would be good after notes have been given at the start of songs to have a moment or two of silence to set the atmosphere. Your Christmas song was tenderly sung. I bet you could now risk doing without the 2 music stands with the copies on them. Some of the chording in this second piece just needed more fine tuning but the singing was always nicely sensitive. You really came alive in the "final" song (Up above my head) and there was a real freedom in the singing. Good support from the audience. But then there was a 4th song - from South Africa. This was sung with affection, expressive variety and very good stylistic understanding though I felt there was still room to find more musical depth and intensity. You are a very good choir. Go on now finding that extra dimension. Findhorn 2018 Winter Gathering appreciation. Huge appreciation from me for our rather magnificent performance. Much very good feedback from others too, some of whom are excellent musicians so their positive comments were particularly welcome. Contrary to earlier info there is no recording which is a shame but there are lots of photos. This is the one on our FB page. Well done all round!! New singers always welcome. The Forres Big Choir is a friendly, fun, welcoming AND good community choir which makes a fine noise. A great place to make new friends, deepen old friendships and just have a damn good sing. We sing inspirational songs from around the world. All songs are taught by ear and no previous experience is necessary - although this is also very much welcomed!! New singers are always welcome and their first week is free !!! What joy is this !!! We offer a safe atmosphere to discover and develop your natural singing voice. We firmly believe that everyone can sing, so all welcome, no auditions, and no musical experience or knowledge necessary. We learn songs mostly by ear. Singers find the Choir liberating and confidence boosting. We encourage commitment but do not require it. Above all we aim to have fun, and in its twelve years the choir has become a strong community and a place of great support and friendship. We have around 80 members, beginners and experienced singers, 50 of them regulars. 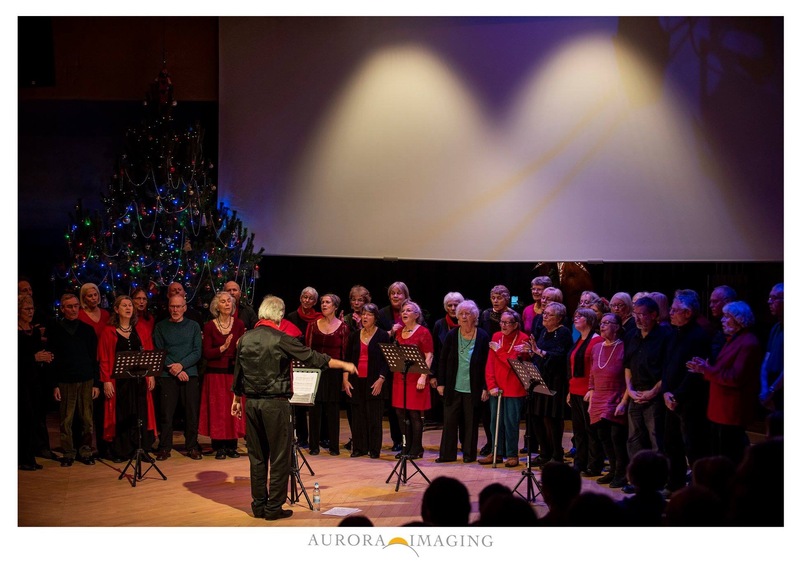 The Choir perform a concert every other year, and enjoy appearing at Community and other events. Taking part is voluntary. In 2005 we made a first Choir Trip to Iona where we sang in the Abbey. This grew into a yearly tradition during October school holidays. From 2010 to 2012 we were closer to home, near Carrbridge. Since 2013 we are going to the north of Skye. › Bill is a member of the Natural Voice Practitioners' Network. › Article by Frankie Armstrong highlighting the historic and social context of what Natural Voice Practitioners stand for. › Singing, the key to long life: Article by Brian Eno. › With a Song in our Hearts: an inspiring article about Natural Voice choirs in Saga Magazine.